Hearthstone’s latest event, in celebration of the Year of the Raven, will reward you with a free card pack everytime you complete a daily quest. Find out what else to expect from Hearthstone’s Year of the Raven. 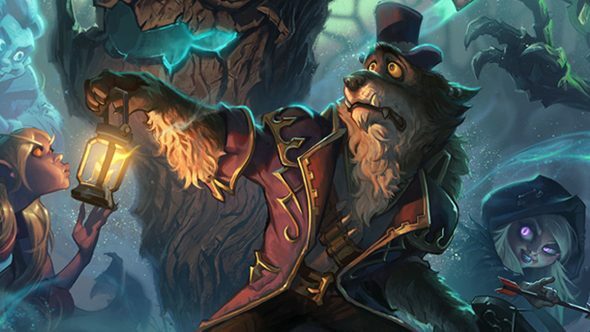 These free card packs could be from any of Hearthstone’s expansions, including the upcoming Witchwood expansion. However, you won’t get to access your Witchwood card packs until after the expansion goes live in April. It’s a New Year of the Raven celebration! It’s worth noting the play a friend quest will be disabled during the event, but will return when it finishes. In addition, the Hearthstone team will be livestreaming The Witchwood card reveal on March 26, starting at 20:00 (CET), 19:00 (GMT), 11:00 (PDT), and 15:00 (EDT).